Thanks everyone for the advice. I might try giving them a wash and see what happens. Great! Dust would probably wreak hell on a sticky figure. If you're gonna display it out of box, that is. Yeah I am planning on displaying the figures loose. Really have to changed up my display. Maybe need to look at a new display case. Looking forward to that if it happens! Japanese collectors recommend using baby wipes to get rid of the stickiness on some of the Japanese figures that are sticky. 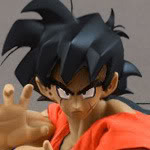 I think the example was the mekke shuesha Goku statues. Didn't even think of using baby wipes but that seems like a good idea. I forgot to say this: I think they recommend baby wipes for figures painted with enamel paints, because they attract huge amounts of dust and lint that gets stuck on the surface of the figure. I only own one GP figure, and it wasn't sticky, but I think the more appropriate action for GP figures would be washing with soap and water, because I believe the stickiness is less likely to just be a property of the paint they use, and more likely to be a production grease of some kind. I think it was some substance from production. PGV said he has seen it before and that it was to do with stopping the articulation sticking. Using dishwashing liquid with water and a sponge worked perfectly to clean it off so I am all good. Just have to finish up my new display and I'll post some pics comparing the GP figures to Figuarts. Just got my new display case today so I'll be assembling that tomorrow after we celebrate Father's Day and will definitely be taking pics Monday. I got this lot of Atlas figures from France today! 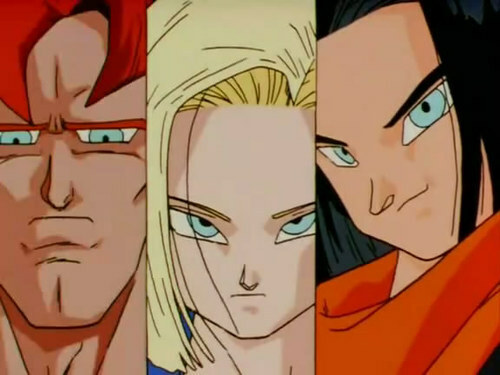 Missing from the picture is Atlas Krillin who I forgot. If anyone wants any pictures of her with another figure, let me know! Nice haul there ssj2dakota. Very cool getting Marron. 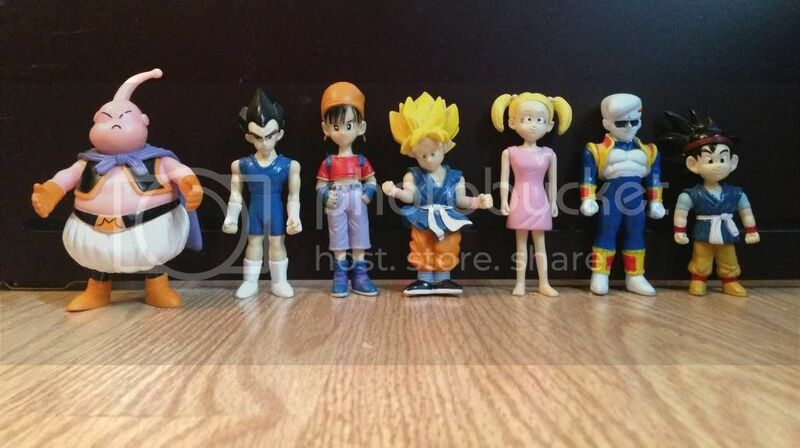 Have you got a Krillin and Android 18 to display her with? Is that your Marron?! WOW! I demand more pics! Nice haul aswell! @aussiedcfan: thanks! I don't have either of them in their appearances for that saga. However, I do plan to make customs of them. 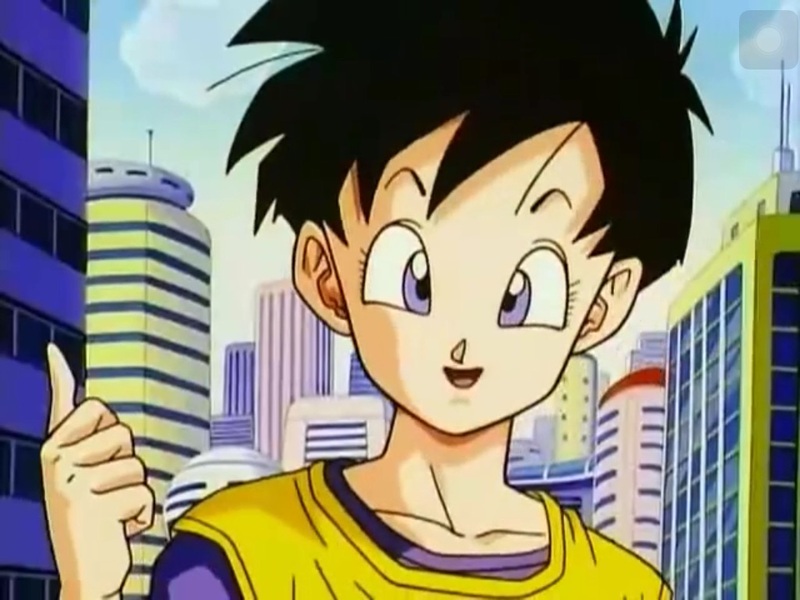 Gohan: thanks, as well! 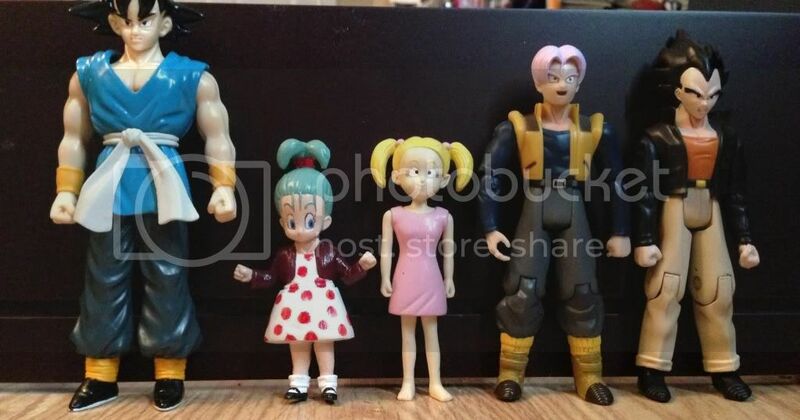 I'll take a picture of it with my custom Marron later. Well to get stuff straight, she looks great! Even though her dress is supposed to be a diff color if I remember correctly... And she has no shoes lol. Gonna paint or sculpt shoes on her? Lol thanks! I bought another Marron before this, sometime in the middle of summer. It still hasn't gotten here... But if it does I may sculpt some shoes on her.